Megayacht builders are often tasked with contradictory goals: build hard-to-miss yachts and not acknowledge that these large yachts exist. Often times those objectives are easily accomplished by simply ignoring the elephant in the shed. Sylke auf dem Graben, who does PR for Lrssen, says, “At a certain moment you cannot hide a yacht anymore. 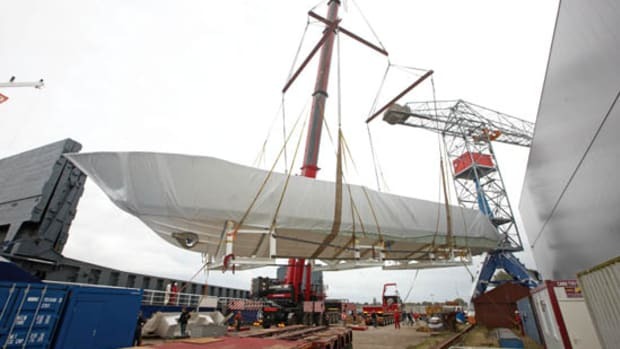 At the latest, when the yacht is launched but till then, we try not to talk about it.” But some shipyards have gone to extremes to protect their clients and projects. Of course once a yacht is in the water, it becomes difficult to deny its presence. German builder Blohm & Voss maintains the mystery a bit longer. 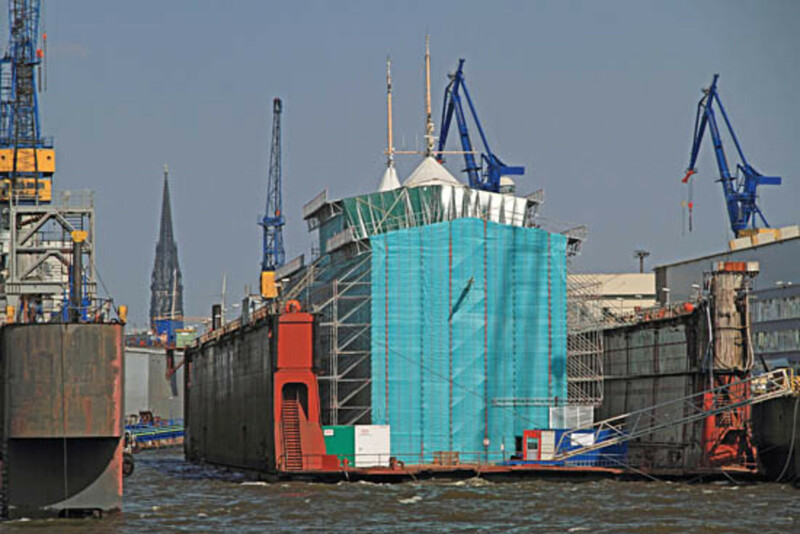 It builds large tents (above) around the yachts to both protect the construction site and block any prying eyes. 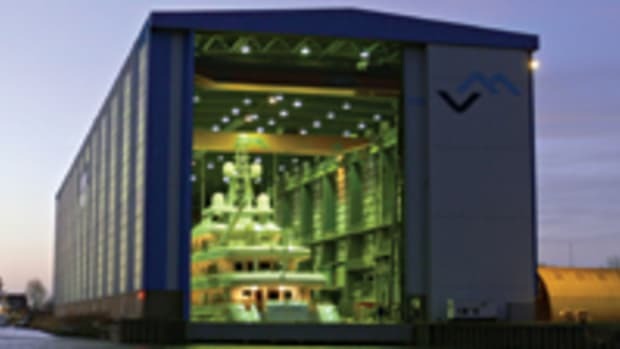 The Italian yard CRN is currently working on a project that it would not allow me to see when I toured the yard. 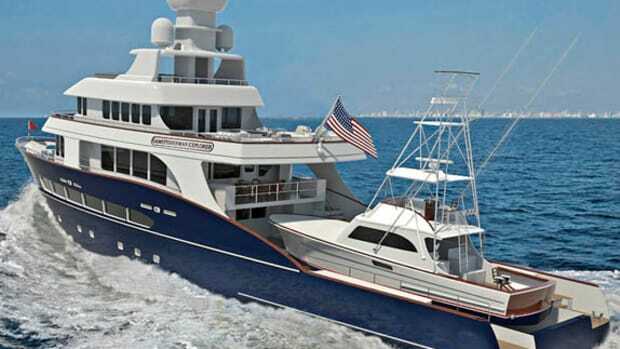 That’s because included in the client’s contract is a clause stating that the yacht’s layout will never be duplicated, thus ensuring the project (and the owner) will never be revealed to anyone the owner has not approved. 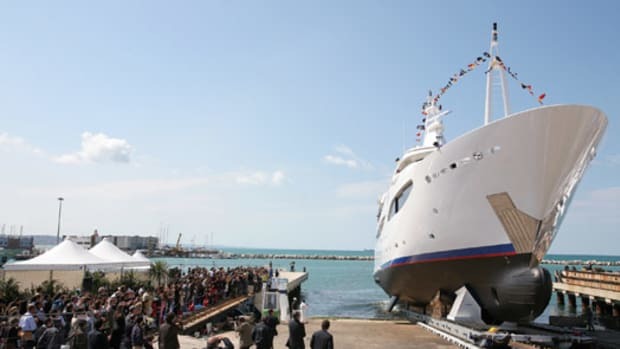 Then there’s the 2008 launch of the 238-foot Predator by Feadship/De Vries. 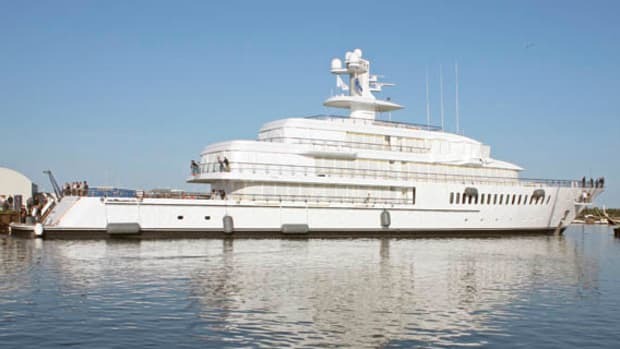 Feadship is notoriously tight lipped regarding projects and owners, but it took that to the extreme with Predator. To trick photographers, the yard built a faux bow to disguise the axe bow. 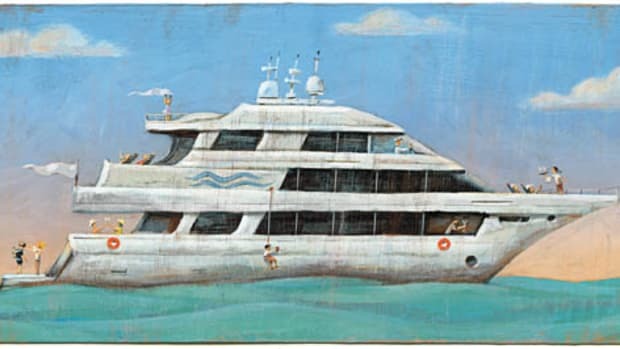 Here in the United States, Trinity received a bid package 18 years ago for a nearly 300-foot yacht, one of many the client sent to yards around the world, each with a hand-calligraphied cover letter on parchment. To test the yards’ discretion, the owner used a different name on each bid package so he’d know which shipyard had leaked his information. Keeping owners’ secrets may seem like a relatively lighthearted cloak-and-dagger game, but the owners and yards both take it very seriously. And they usually succeed, which is why the next big project could be right under our noses.